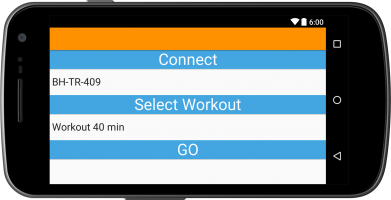 Run your own workout This app let you create unlimited customized workouts with any number of segments you may need. 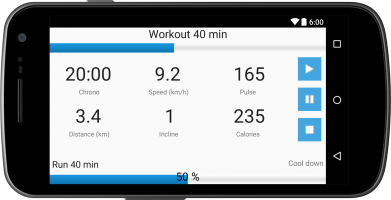 Workout Dashboard Run your workout and stay in control with the app dashboard. The dashboard display the current segment and the next segment. You can pause and restart your workout. You can skip current segment.